Hello again, I hope you are all doing well. I can’t quite believe it’s December! Firstly a huge thank you to all of our lovely couples and beautiful brides that booked us for either their Asian wedding planner or their Asian wedding coordinator this year! 2017 has been a phenomenal year for Desi Bride Dreams – Asian wedding planner London and we are so grateful to all of our lovely couples for booking us. This year also saw myself – the founder of Desi Bride Dreams – Asian wedding planner London be featured on multiple media outlets such as You and Your Wedding Magazine, BBC Breakfast show. I was also a finalist in the British Asian Wedding Awards as Best Asian wedding planner London. WOW what a year! Now that all of our 2017 weddings have been completed, we are extremely busy with planning our 2018 and 2019 weddings! 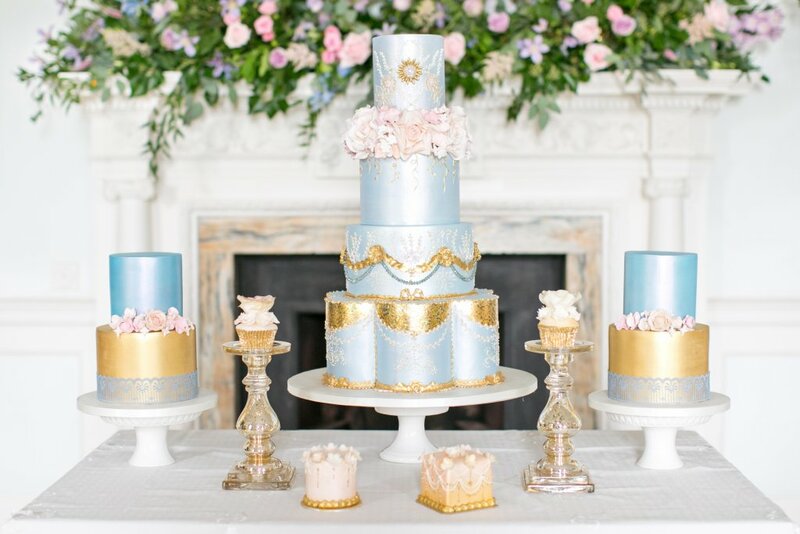 If you are still looking for a Asian wedding planner London to help plan or coordinate the biggest day of your dreams, then we would absolutely love to hear from you. But today I wanted to talk about the truth of Asian weddings and of course Asian wedding planning. When you are planning your wedding, it should be the most magical time in your life. However it soon gets very stressful and overwhelming. We know this because an average Asian wedding takes 350 hours to plan and today’s career driven couples with busy social lives just don’t have the time to plan their wedding. To me, this isn’t a great idea because it can be these things can somehow make us feel that our wedding day wasn’t quite right, that it didn’t go according to plan or it wasn’t the ‘dream day’ that we were expecting. So with this in mind, here are ten things you need to know AND embrace before your wedding. If you can accept that one or two of them could well happen, you’ll be happier when the big day comes around. So today, I’m going to be talking wedding day truths and things they don’t tell you about when you are planning your wedding. During my years as an Asian wedding planner London and from my own experience of being an Asian bride, I know that there are some things that just aren’t identified before the big day and it’s really important to raise these issues. It’s really important to remember and acknowledge these points and build them into your wedding planning journey. This will ensure that you are ready to embrace whatever the wedding planning journey brings up for you. This is probably one of the hardest elements to handle. Why? Due to our culture of course. With Asian culture, comes the importance of family. Usually what our couples sometimes find is that differing opinions from both sides of the families can be both overwhelming and stressful. You as a couple may have a completely different idea of your dream vision for your big day. Of course, normally families want to keep the traditions where you may not want to do this. But it’s really important to remember that this is your day and not anyone’s else’s. So it’s important to relay that back to your families. At the beginning of the wedding planning journey, it’s important to be honest and open about the vision of your big day and what you will/won’t be having. This open discussion at the beginning will prevent you from stressful scenario’s further down the line. We all know that it’s impossible to please everyone and this same theory stands when you are planning your big day. Your Bhua will have a different opinion to your mother in law, who may have a different opinion to your own mother! But it’s important to just remain calm and take everyone’s opinions into consideration. But do it your way and how you want it. That does take strength and again that’s why an open discussion is always really helpful but always bring it back to your own vision. In my vocabulary, perfection doesn’t exist and it’s really important to understand that everything won’t be perfect. When I plan my client’s weddings I always set the expectation that sometimes on the day, things may not go to plan. Of course, we do very detailed planning and logistics when we plan our clients weddings but some things are out of control. This can be either the grooms arrival or even the entrance music! Having said that, we did have a groom arrive nearly 2 hours late at one of our summer weddings! However, we amended the schedule to get us back on track! So yes, it’s very important that you realise that everything may not be perfect and embrace that on your big day. 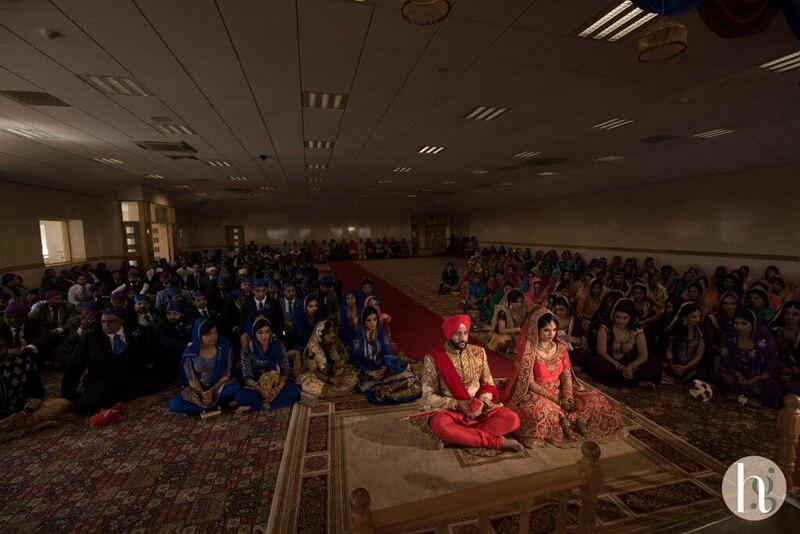 When I was planning my own 700 guest wedding, one of the biggest things that stressed me out was the guest numbers, and as I had a Sikh wedding we didn’t have RSVP’s! The best way to handle this is to tackle it right from the beginning. Sit down with both sides of the family and realistically work out via a spreadsheet how many guests you are inviting to get a true idea of how many you will have on your big day. If you do want to reduce guest numbers, then you could potentially invite more guests to your pre wedding events or even consider having your wedding abroad. Believe it or not, the standards in the Asian wedding industry are truly awful. I have written about this extensively here but my advice to any couple planning their wedding is to ensure they thoroughly check and vet the suppliers before they book them. If response times are slow and initially you just aren’t getting the customer service then steer clear. 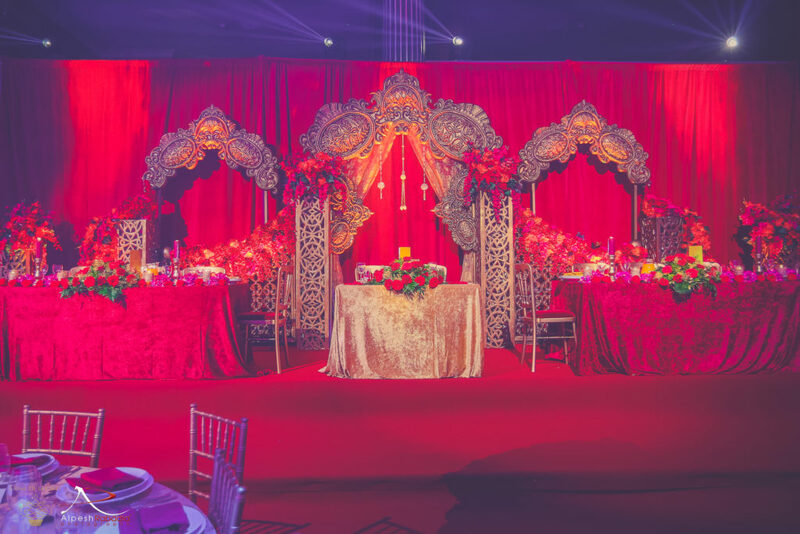 As an Asian wedding planner London we ensure that we only work with the best supplier teams for your big day to ensure everything runs smoothly on your big day. 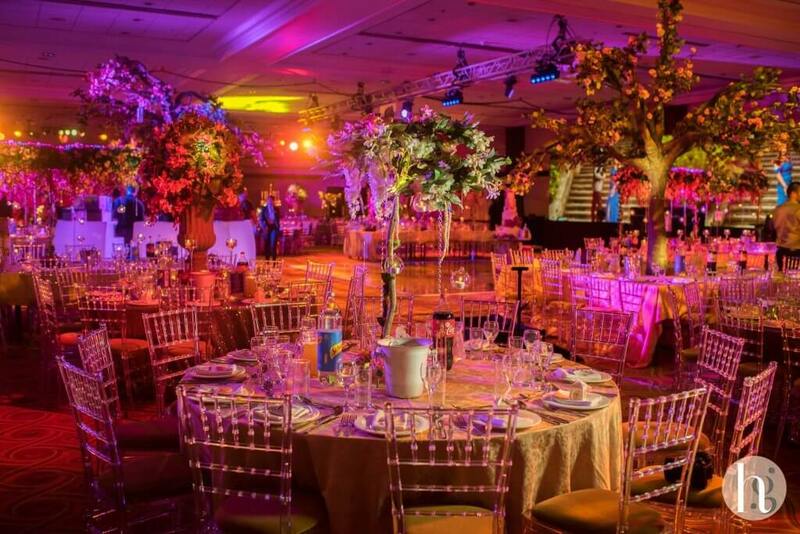 This is one benefit of having an Asian wedding planner London as we reduce the stress and overwhelm so you can truly have a wonderful and magical day. The average Asian wedding takes over 350 hours to plan! This doesn’t include your pre wedding events or even your engagement. This is why so many professional Asian couples are choosing to hire a wedding planner as it really can relieve the pressure. 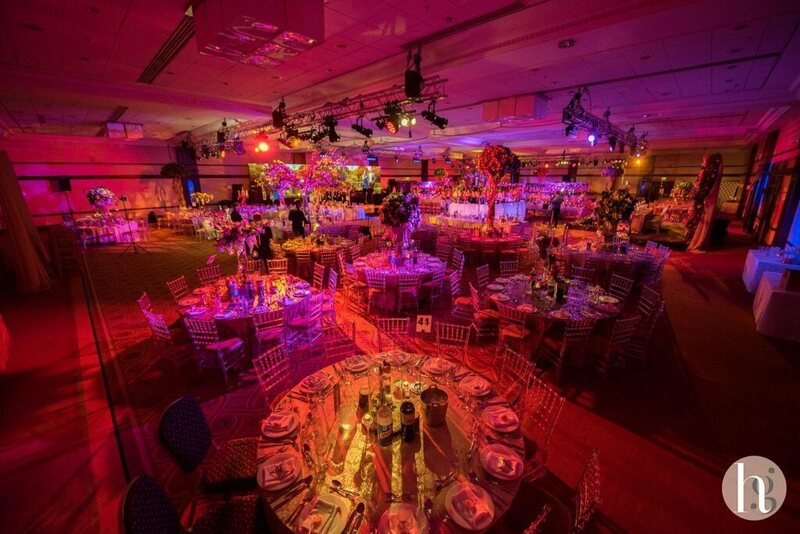 Asian wedding planners were once seen as a luxury but nowadays it is fast becoming a necessity for any Asian wedding. Most of our clients are busy professionals who simply don’t have the skills, expertise or more importantly time to plan the wedding of their dreams. When it comes to Asian weddings there are so many rituals, traditions and events. The details are so intricate that you are bound to forget to do something, it’s completely natural. This is why it is imperative you have at the very least a Asian wedding coordinator – we will ensure things such as the cake knife, the entrance music etc etc are not missed! We know that our brides and grooms love the finer details of the wedding and put in a lot of effort and planning time into it. However the truth is that your guests probably won’t even notice them. This isn’t because they don’t care but they are probably too busy celebrating with you and the family to notice. As an Asian bride you do go through a lot of emotions during the wedding planning journey. From stress to anxiety, to fear and overwhelm. A lot of Asian brides go through a huge change as they are either normally moving to their in laws or changing jobs etc to relocate. The week leading up to the wedding you will feel a lot of emotions, I certainly know I did. Therefore, it’s important to embrace them and know that that’s totally normal. Above all, try and enjoy the final week of being a Miss! We have talked a lot about emotions and they will certainly be running high in the weeks and months leading up to your wedding. There could be all sorts of different reasons for this; family members interfering or simply not being happy for you. But it’s really important that you don’t let this get to you on the biggest day of your life. Choose someone to confide in and talk to them as this will really help you take the pressure off. We normally find on wedding days, that every family member has a different opinion on how and when things should be done. 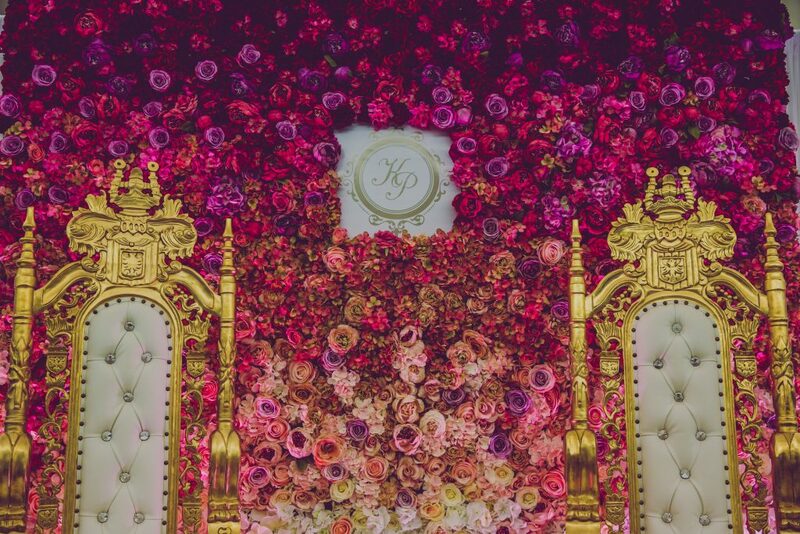 This is why it’s so great to have an Asian wedding decoration planner London or coordinator as there is one central person in charge who can quickly tell family members what’s been agreed in advance with the bride and groom. I do hope you enjoyed reading this post and it resonated with you and put your mind at ease. You can’t control everything and everyone but what you can control is your feelings and how you choose to respond. Just remember it’s your big day and enjoy every moment of it as it’s often over too quickly!